Senior Research Engineer at ARM Ltd, Cambridge, UK. Computer Architecture, design and analysis of microprocessors, embedded systems, memory hierarchy, decoupled architectures, and system architecture. More particularly, instruction set customization, idiomization, irregular data access patterns (linked data structures). Ph.D. in Computer Science, Computer Architecture, Paris-Sud (Paris XI) University, Orsay, France. Defense Jury: André SEZNEC (IRISA/INRIA), Sanjay PATEL (University of Illinois at UrbanaChampaign), Marc DURANTON (Philips Research) and Olivier TEMAM ( Paris-Sud XI University). 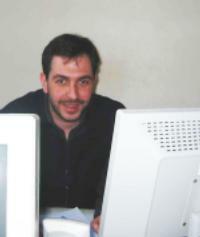 September 2004, Advisor: Professor Olivier Temam. Master’s Degree in Parallel Architectures, Paris-Sud University, Orsay, France. Dissertation Title: “Méthodologie d’évaluation des architectures des processeurs,” Advisor: Professor Olivier Temam. September 2000, Advisor: Professor Olivier Temam. Master’s Degree In Computer Engineering, Arab Academy for Science and Technology, Alexandria, Egypt. Master Thesis title: “Architectural Level Synthesis in A Reconfigurable Environment,” Advisor: Dr. Yasser Y. Hanafy and Professor Youssry Y. El Gamal. August 1999, Advisors: Dr. Yasser Y. Hanafy and Professor Youssry Y. El Gamal. BSc in Computer Science and Automatic Control. Faculty of Engineering, Alexandria University. Sami Yehia and Yasser Y. Hanafy, ”Optimal Module Selection and Scheduling of Dynamically Reconfigurable Processors,” 9th International Conference on Computer Theory and applications (ICCTA ‘ 99), 1999, AlexandriaEgypt. Sami Yehia, Jean-François Collard and Olivier Temam, “Load Squared: Adding Logic Close to Memory to Reduce the Latency of Indirect Loads in Embedded and General Systems,” Journal of Embedded Computing (JEC) , Volume 2, Number 1, January 2006, IOS Press.